 Visiting the Royal Exchange Theatre as part of a group opens up a world of discounted theatre tickets, backstage tours and shopping. • Amend a booking free of charge any time before final payment - no booking deposit is required. • Discover a wealth of information about the Theatre, the building and the surrounding area. Concessionary discounts are available subject to availability. • Discounts are not available on Saturday evenings or Half Price Previews. • Discounts are not available on banquette seats. • Discounts may be restricted for busy performances. • You will be advised of your final payment date at point of reservation. Tickets will not be held without full payment after this date. • Only one discount per ticket. It is important to bear in mind that the Royal Exchange is a working Theatre, and sometimes certain parts of the building are not accessible. Nevertheless we endeavour to make your visit to the Exchange as exciting and pleasurable as possible. Please note, there is only 1 Group Tour per day. Once one of the time slots has been booked, the other time slot won't be available. Please check with Box Office.